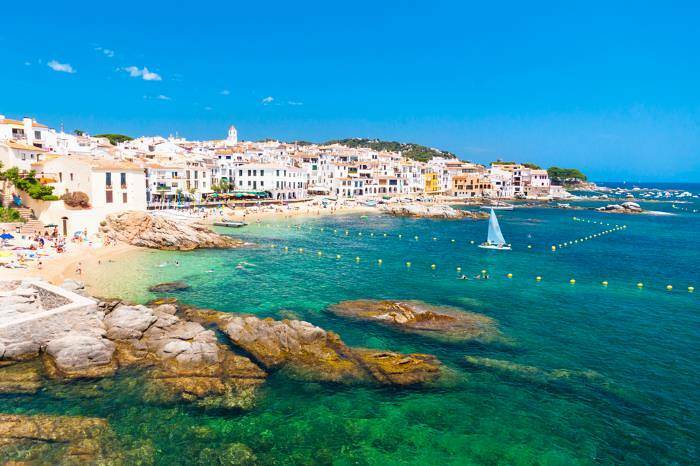 If you’re planning a trip to the Costa Brava the big, brash and bountiful resorts like Lloret de Mar and Tossa de Mar might immediately spring to mind. 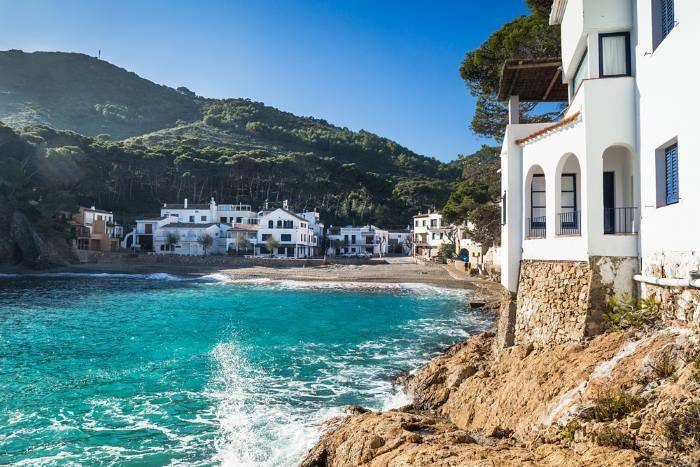 But did you know Costa Brava translates as the ‘wild coast’ – so this is one destination to spend at least a day off the beaten track uncovering the region’s natural raw beauty. To really escape the crowds head north. The small village of Colera (sometimes called San Migel de Colera) is set in a horse-shoe shaped bay just a few miles south of the French border; about as far north as the Costa Brava can get. The few tourists who know of it can make the most of the two large shingle beaches, as well as wandering a little further afield to find more hidden coves and the Albera nature preserve. 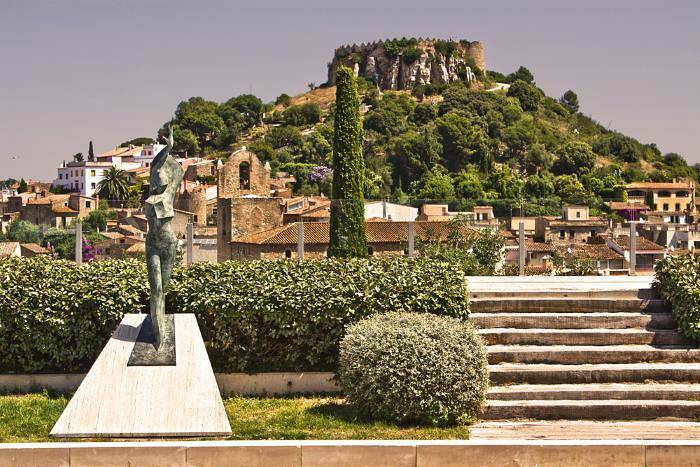 Other attractions include some sculptures by artist Joan Padern and the 11th century chapel Ermita de San Miguel de Colera. But this town is less about sightseeing and more about pulling up a chair in the shaded town square cafe and relax into the slow small-town Spanish lifestyle. 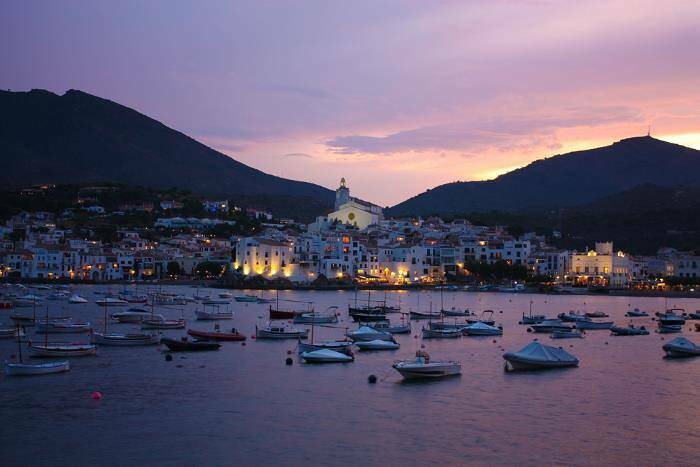 Wind your way through steep hillside roads and you’ll be rewarded by the charming former fishing town of Cadaques. The town has a long and prestigious artistic tradition; both Salvador Dali and Picasso were drawn to its bright sunlight and light breezes. Its grown since those days, but retains a chic feel, with boutiques and galleries dotted in the traditional whitewashed houses. There is one small beach in town, but you can discover more with a stroll over the Cap de Creus peninsula. Although there are modern high rise hotels in L’Escala, the original fishing village is evident in the maze of streets in the old town centre. Find your way through and you’ll discover smaller several rocky coves to take a dip in. This whole area is especially blessed in beaches, with the Bay of Roses just to the north, elected one of the ‘Most Beautiful Bays in the World’. You also must try the sardines that the town is famed for during your visit! In a coast characterised by picturesque rocky coves and calm seas the beach at Pals stands apart – it’s a five-kilometre-long crescent of golden sand where there’s enough of a wave to make surfing and windsurfing popular pastimes. It’s busier at the Sa Punta end where families will find plenty of facilities, but if you continue towards El Mas Pinell the beach becomes wild, backed by a wildlife preservation area. If you don’t need to stay directly on the coast, the hillside town of Begur is popular with Spanish tourists. The cobbled streets offer a refreshing respite as well as sublime views of the surrounding coastline. 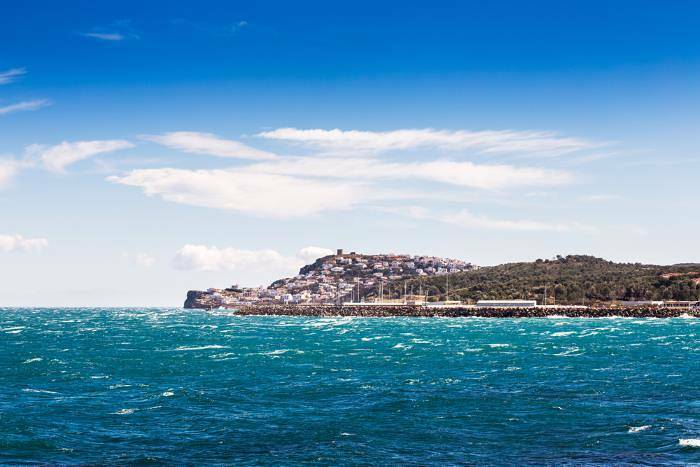 Scale the hill to get a closer view of the medieval castle that towers above the town, or make the descent to explore a huge range of lesser-known beaches – all within a 10-minute drive. The beaches below Begur include Aguiablava, and it’s typical of the kind of idyllic coves you’ll find in this region – pine-coated hills surround the small bay, gentle waves of blue lap the shore, and there’s no more development than a couple of low key hotels and restaurants. This is another especially picturesque beach in the vicinity of Begur. It’s a pebble shoreline, but the water is incredibly clear and great for snorkelling. Word is getting out and you can now stay here in one of the newly built apartment blocks, or opt for a converted fisherman’s cottage. Tamariú is a tiny cove of course sand surrounded by pink-hued cliffs and crystal clear waters. 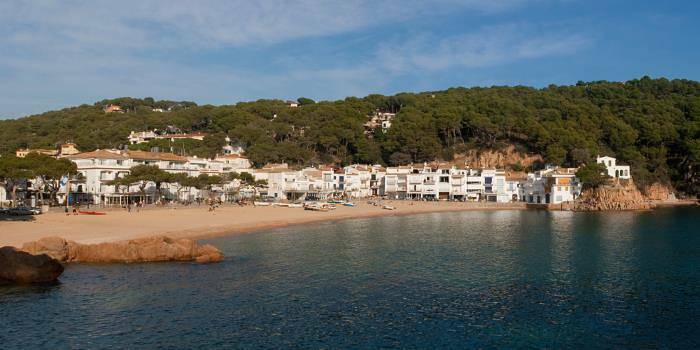 A lack of space has kept development at bay, so it remains one of the prettiest beaches on the Costa Brava. It’s also among the most sheltered, the south-facing beach has been awarded a Blue Flag and there are some excellent seafood restaurants lining the town. Honestly, we can’t think of a reason you shouldn’t go. 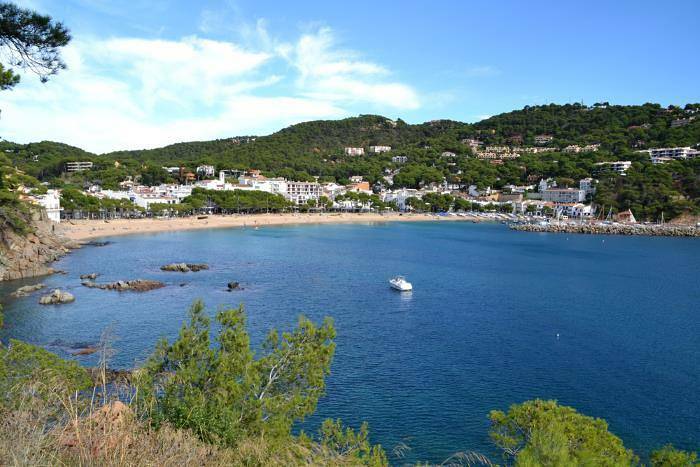 One of the most exclusive resorts of this region, peaceful Llafranc consists of a small bay and marina. Behind which the whitewashed streets trail into pine covered hills dotted with private villas. Dali was also a fan, and at times would be spotted in the main square opposite the beach. Today the main square is the place to head for a delicious alfresco dinner before heading to the beach to watch the sun set. A short walk over the headland from Llafranc is one of the biggest resorts of the region. Happily it also numbers among the most appealing. Calella is a still-working fishing village where boat houses still evident on the beaches. You can explore a succession of small rocky bays and the cool white alleyways of the town. Take the seafront path to the south of town for another of the region’s highlights, the cliff-top gardens of Cap Roig. Want to visit any of these resorts and coves? They’re all at the northern end of the Costa Brava, so Girona is the nearest airport. You could find a cheap deal on a holiday in the Costa Brava, and hire a car to visit on a day trip.